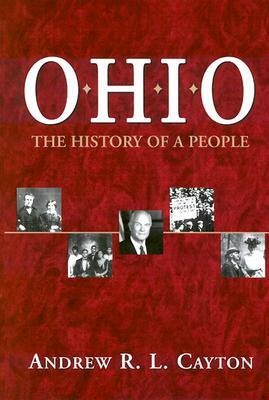 Ohio State University Press, 9780814208991, 472pp. As the state of Ohio prepares to celebrate its bicentennial in 2003, Andrew R. L.Cayton offers an account of ways in which diverse citizens have woven its history. Ohio: The History of a People centers around the many stories Ohioans have told about life in their state. The founders of Ohio in 1803 believed that its success would depend on the development of a public culture that emphasized what its citizens had in common with each other. But for two centuries, the remarkably diverse inhabitants of Ohio have repeatedly asserted their own ideas about how they and their children should lead their lives. The state's public culture has consisted of many voices, sometimes in conflict with each other. Using memoris, diaries, letters, novels, and paintings, Cayton writes Ohio's history as a collective biography of its citizens. Ohio, he argues, lies at the intersection of the stories of James Rhodes and Toni Morrison, Charles Ruthenberg and Lucy Webb Hayes, Carl Stokes and Alice Cary, Sherwood Anderson and Pete Rose. It lies in the tales of German Jews in Cincinnati, Italian and Polish immigrants in Cleveland, Southern blacks and white Appalachians in Youngstown. Ohio is the mingled voices of farm families, steelworkers, ministers, writers, schoolteachers, reformers, and football coaches. Ohio, in short, is whatever its citizens have imagined it to be.